The health system is ahead of the curve in routinely working genetics into primary care, and patient-shared genomic data has found a home in its EHR for physicians to reference. As consumer at-home genetic tests become more popular, patients are increasingly interested in how their inherited health impacts their future wellness. At the same time, some hospitals are exploring ways to incorporate genetic information into the delivery of healthcare. 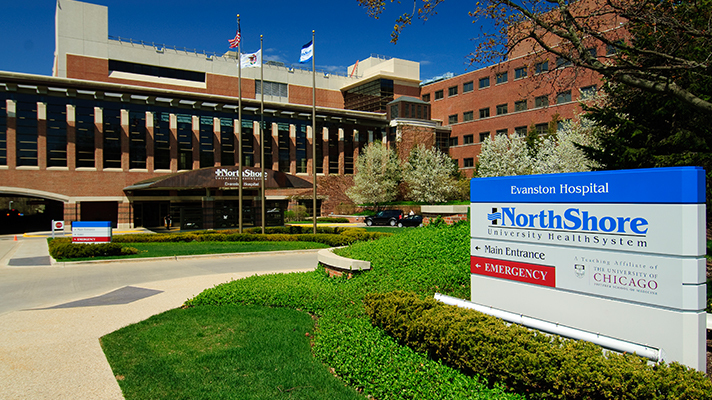 NorthShore University HealthSystem's "advanced primary care" model is designed so a patient's genetic and family history are seamlessly factored into the standard diagnostic assessments performed by primary care physicians. This means, for instance, that blood pressure and cholesterol are measured and recorded in the electronic health record, and genetic information is gathered from both patient-shared data and associated genetic testing. The information gathered through a patient's advanced primary care visit is saved to the EHR so pertinent details – whether a high risk for cancer based on genetic mutation or an inherited sensitivity to select medications – are flagged to providers throughout that person's lifetime. "Advanced primary care includes all aspects of a traditional primary care visit but also incorporates a more detailed assessment of a patient's genetic history." This individualized approach offers the physician customized information that directly informs clinical recommendations and preventative measures that will best address that patient's unique needs throughout the continuum of their care, officials said. It also helps patients with diseases such as breast cancer and prostate cancer use their genetic testing information to help family members navigate their own healthcare plan. "Advanced primary care includes all aspects of a traditional primary care visit – for example, overall health assessment, blood pressure, weight checks, etc. – but also incorporates a more detailed assessment of a patient's genetic history," said John Mark Revis, MD, a primary care physician at NorthShore University HealthSystem. "We do this through our Genetic and Wellness Assessment questionnaire that is filled out either online ahead of the visit or at the time of the visit." Integration of genomic data into the Epic EHR is an ongoing process. For data generated by in-house testing – for example, the organization's pharmacogenomics test and tumor genomic data – the data is integrated as discrete variables for which clinical decision support tools and care pathways can be built, said Peter Hulick, MD, head of the division of medical genetics at NorthShore University HealthSystem's Center for Personalized Medicine in Chicago. Revis offered one recent example of advanced primary care at work: "A patient did not know her biological family health history because she was adopted, so she completed the Genetic and Wellness Assessment questionnaire," he explained. "Based on her results, she decided to do the healthy gene panel test, which analyzes a large number of genes that are well-established indicators of a significantly increased risk of developing certain conditions, including hereditary cancers, cardiovascular conditions and other disorders," he said. The genes tested are all related to inherited conditions that, if detected early, have effective medical interventions and preventive measures. Her primary care physician ordered the test and found that she has a pathogenic variant in the PMS2 gene, which results in Lynch syndrome, the second most common hereditary cancer condition after BRCA1/2. "Without the prompting of the Genetic and Wellness Assessment questionnaire, the patient and physician might not have been aware that such genomic screening was available, and now the patient can be screened more frequently for colon cancer, as well as other Lynch syndrome related cancers, following well-established guidelines by the National Comprehensive Cancer Network," Revis said. "We have a Genetic and Wellness Assessment questionnaire completion rate of about 75 percent with more than 95,000 encounters thus far." NorthShore has built an analytics dashboard to help follow the advanced primary care process in order to identify areas of improvement, whether it is from an operational standpoint or a patient and physician education standpoint. "We have a Genetic and Wellness Assessment questionnaire completion rate of about 75 percent with more than 95,000 encounters thus far," Hulick said. "With this dashboard, we can drill down by site, practice location/specialty and best practice alerts, and analyze follow-through on lab tests ordered and referrals."